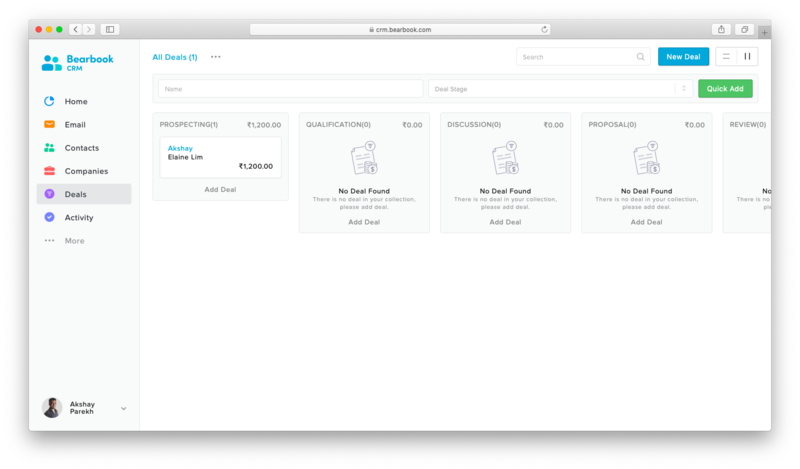 Deals are the crucial thing for every business.A user can manage business deals in Bearbook CRM by using the 'Deals' feature of Bearbook CRM. 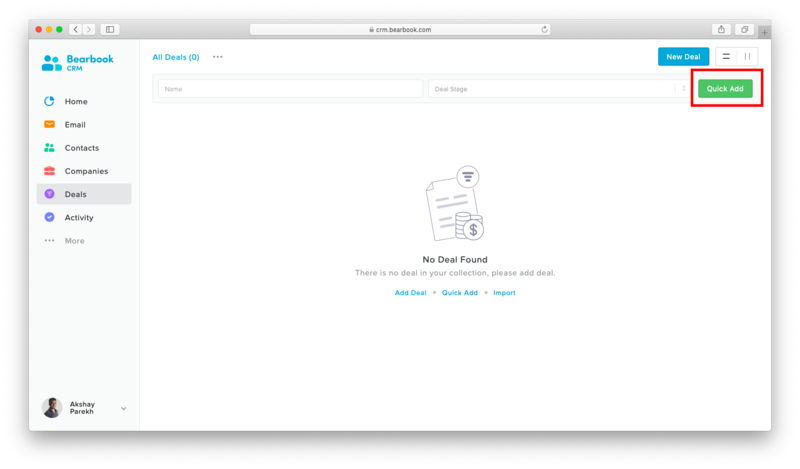 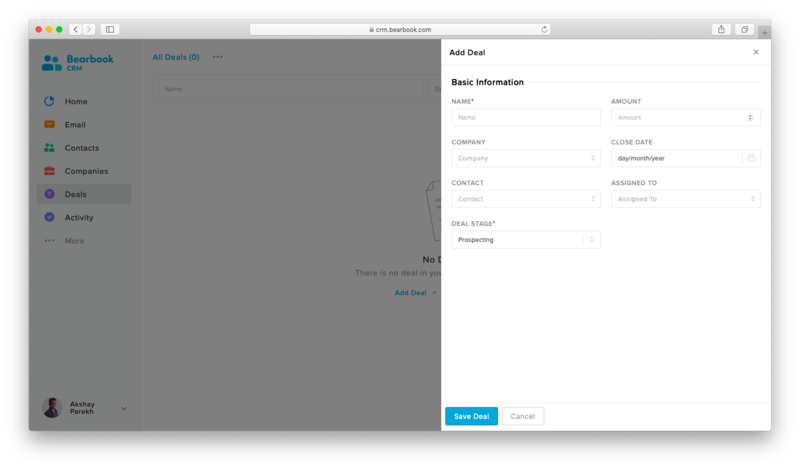 A user can quickly add new deal by just entering Name and Deal Stage. 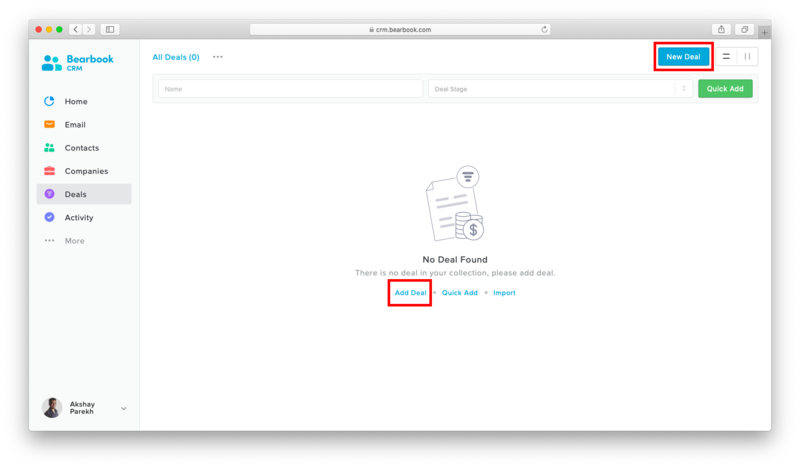 If you want to add deals quicky then enter Name, Deal Stage and click on 'Quick Add' to save the deal. 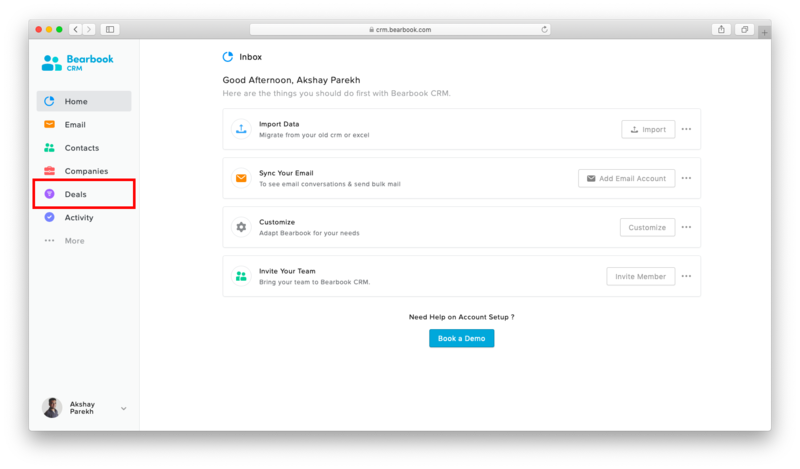 A user can also save multiple deals at the same time by importing deals data from the CSV file.In Bearbook CRM, you can also import deals data from CSV file to save multiple deals. 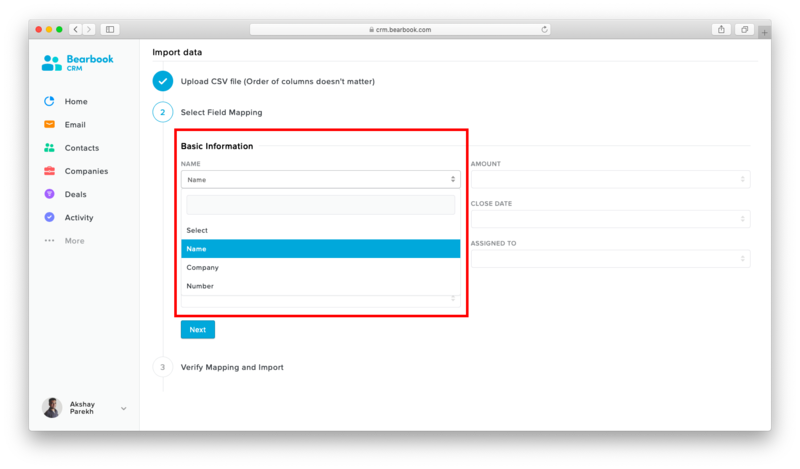 2.Second, Select a field from the dropdown as per the field in the CSV file to map the CSV file into CRM fields and click on 'Next.For example, if you have Name field in CSV file then select Name from the dropdown for Name field of CRM.